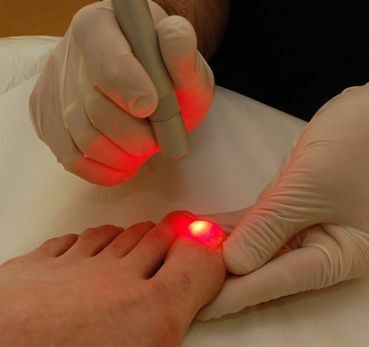 When you are having the laser therapy for your nail fungus you can expect a beautiful, healthy, and normal nail. There won’t be any pain or cuts and needles. You can expect this typical treatment to take a few 15 minute office visits. Even though the laser will be executed successfully, there is a chance that the fungus may return. The reason for this is because fungus thrives in warm, dark, and moist environments, such as our shoes. In order to prevent this fungus coming back, we suggest that you sanitize your shoes or just get new ones. You should bleach your bathtub and be sure to never walk barefoot in public areas, especially at gyms or public pools. In addition, we offer a laser maintenance plan. This plan consists of coming back to the office every six weeks for a minimal cost. You no longer need to be embarrassed or frustrated with your nail fungus with our treatment plan! Spring is here, and who doesn’t want beautiful nails to show off? Call our office today to start your laser treatment!